Shared from personal perspective: the way "Higher Mind" functions is completely different to "Lower Mind" (what society refers to as "Mind"). Lower Mind is designed to work in harmony with its higher complement, channeling pure knowing from higher plains of consciousness into this Physical Dimensional Realm that we may benefit from the wisdom and bring it into being. It has the power to shape our reality according to the lessons we came here to learn. At least that's what's supposed to happen. For various reasons (far too many to go into here), society has shunted the consciousness of man very firmly into the realm of Lower Mind. Constant distraction, illusionary dreaming and artificial life-styles have created for us an endless amusement arcade that over-stimulates Lower Mind so that it swallows up a great deal of our Soul Consciousness. We've been gifted an exquisite symphony orchestra which is being drowned out by an over active base drum! Higher Mind is much more gentle, subtle, expanded and open. It thrives on soft, abstract, very feminine contemplations; it needs no immediate solutions. It expands and opens, feeling the harmony of the moment like the sensitive tentacles of an ancient sea anenome. It doesn't need to process, calculate, envision, plan or intention. Such activities are all Lower Mind based. All too frequently they come from a place of non acceptance - of fear. 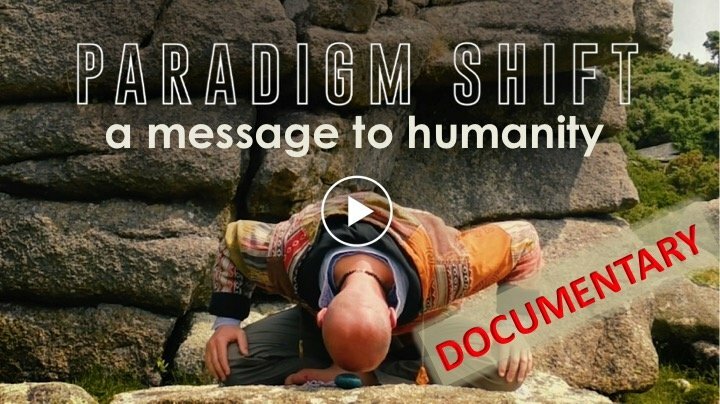 "To shape the immediate circumstances of one's life to bring the natural flow of the Universe through our being and therefore shape our reality according to the Divine Design so that we may evolve, learn and express our divine gifts of beingness." 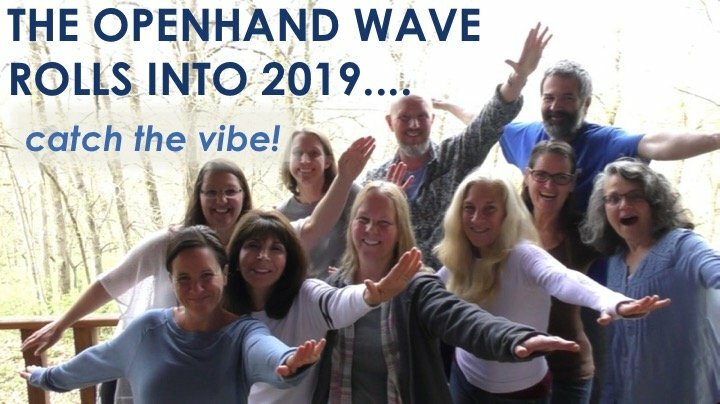 an opportunity to express and unfold your divine gifts of beingness"
This is why it's so important to follow the synchronicities in life; because we're attuning to the natural flow and in so doing, the stronger the flow of Right Action becomes. But we don't have to effort to do this. Efforting turns off this limitless power. Neither will intentioning help matters; that just adds limitation to the Design. It's as if we're asking Higher Mind to configure a Rubics cube but with one arm tied behind it's back! We'd found a house in Glastonbury which was quite expensive (£695 per month), our earnings were at the time were quite low and it wasn't at all clear how we could afford it. After the first month, sure enough we didn't have sufficient funds to pay the rent, however I did have a car that I could live without which was worth around £700. So I felt to sell it and thought the best way might be on the internet through "Auto-trader" - that's how I'd always done it in the past and traditional thinking would say I'd reach the widest audience. However, just at the moment I tried to take a photo of the car, the batteries on the camera ran out! I thought to replace them but just as the thought landed in my mind a huge black cloud passed over head and it started to rain. By now it was clear to me that a greater energy was at work - I simply don't believe in coincidences! So at this point I completely surrendered to what I should do next. Having asked the question "what would you have me do now? ", I jumped into the car and drove to where I would normally park it - the space was full. I continued driving to the next street but as I drove up it, a car did a sudden U-turn in front of me. It had a "JC" in the number plate and I felt a pull to turn around and follow it. 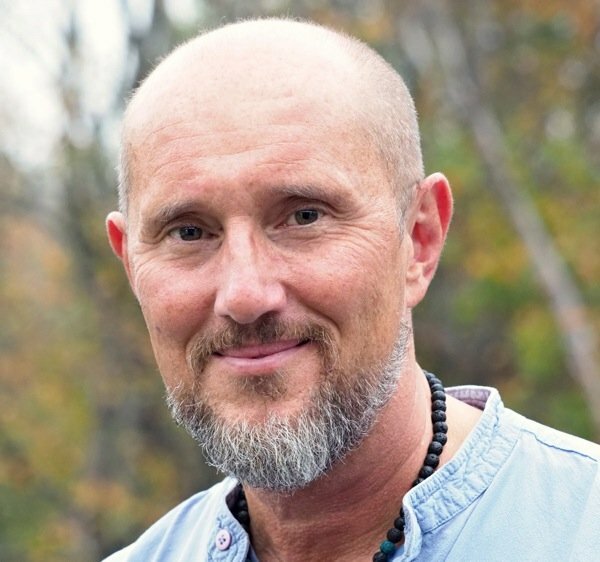 If the Christ Consciousness wants to help me sell my car - so be it! I was led on a merry journey which took me onto Glastonbury High Street - and as I was driving down it, suddenly a car pulled out in front of me with its hazard warning lights on. I experienced a distinct and sudden knowing to park the car in the freed place. Here's where lower mind then kicked it - "maybe I should put a price on it and leave it there?" It seemed like a good idea until doubt and disbelief began to raise their ugly heads "but it could be days before anyone sees it; this all seems a bit like too much chance". However I overcame their noisy chatter and relaxed. I found pen and paper and priced the car at £700. It was now about 5pm in the evening. 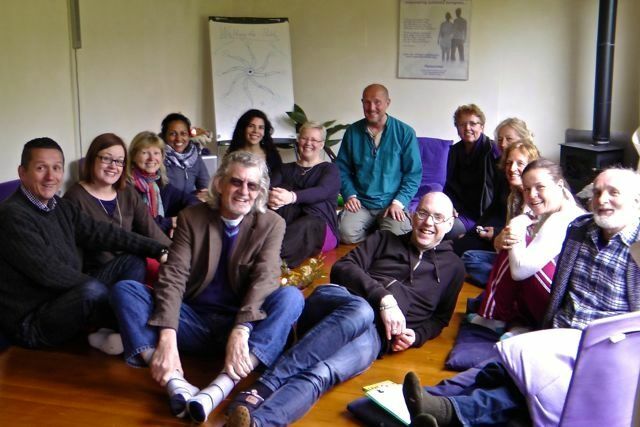 To my great surprise (I'm no longer surprised by the amazing organising power of Higher Mind! ), I received a phone call the very next morning at around 9am. A passer-by had seen the car and was interested - he knocked on my door a short while later. As we shook hands, it was clear there was some kind of connection between us that spanned the passage of time. I invited him in and a deep sharing took place about the meaning of life, the nature of the Universe, even the kitchen sink - but absolutely no mention of the car! After about three hours, with all conversation exhausted, it seemed like it was time for him to leave and so I asked "what about the car?" We looked at each other, smiled and then doubled up with laughter - we'd forgotten the supposed purpose of our meeting! At which point, he reached into his inside pocket and handed me an envelope with £700 cash in it! He never checked the car, just simply took the log book and keys. As he was leaving, tears welled up in my eyes. I'd rarely encountered anyone prepared to trust to this level. As he left, I asked him how he managed to come by the car in the first place? To which he replied "oh that's simple. I thought I was looking for a new home in Glastonbury, but I also needed a car. Your car was parked opposite one of the estate agents. I just followed the pull!" Needless say the incident was a wonderful and magical lesson for me in trust, the importance of being open to Right Action and having the courage to take the next step no matter how improbable it might seem. It was a while after that I came to realise that our Higher Minds are actually shaping these events for us - when they are open and active. To me this is what it really means to "walk on water". Higher Mind can help us in a myriad of ways from doing the school run, speaking our truth to the boss, to confronting a partner about their judgment of us, trusting all the while that a new pathway will be supported by the Universe no matter how unlikely it might appear. To me, this is the real meaning of "abundance" and Yes, miraculous isn't it?! And how then should we best apply Lower Mind to this flowing dynamic? Should we switch it off completely? No. When we are open to the higher realms, Higher Mind begins to shape our reality which may then land in our being as "this is how to be now". This gets translated into "this is the way to go now", in other words a "pull" through the heart taking us in a particular direction (assuming we listen to it!). Where Lower Mind fits in, is realising what steps to take - channeling higher consciousness into our lower reality. Dissolving Distortions: We must begin to cleanse the brain and Lower Mind of conditioned behaviour patterns. We must erase the programs in our lives by confronting those moments where we would succumb to them and instead follow our higher truth. This is achieved by becoming the Observer of ourselves in all circumstances, watching our tightness arising as a result of the choices we continually make and instead choosing that which is in our highest interests and that of all life - that which ultimately leaves us more expanded and open. 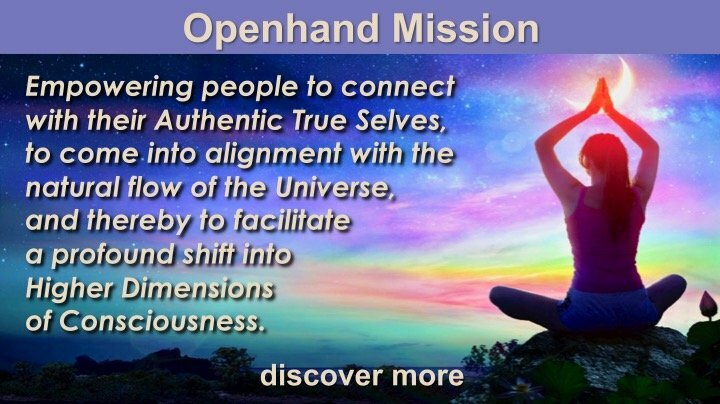 "Openhand Approach" is a powerful method of helping achieve this. 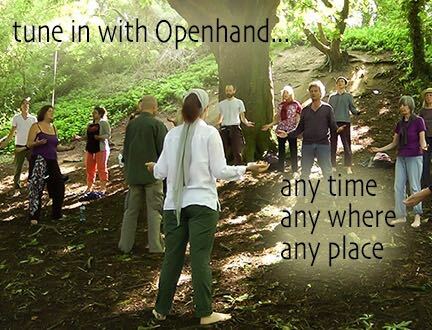 Find out more...Openhand Approach. Attuning to the flow: Higher Mind can be likened to a muscle; if we don't use it, it will wither away. To exercise it, we have to give room for spontaneous acts of higher knowing within our lives. Here at Openhand we play a game called "free wheeling", being open, asking "what would you have me do now? ", following the pull and witnessing what signs and synchronicities we then observe. It's a powerful exercise to activate Higher Mind and attune to the natural flow. Quite apart from that, it can be great fun! Contemplating Abstractions: Higher Mind can also be opened by contemplating abstract issues such as the meaning of life. The key is that there be no need of an outcome or solution. Simple enjoyment in the contemplation is the key. That's why reading about spiritual matters can be so valuable. That's one of the purposes of our book "5GATEWAYS"...find out more. Cultivating humour and optimism: If we expect our lives to falter and for negativity to happen to us, then surely enough we'll create that in our lives. Here at Openhand we believe success is measured by the degree of internal harmony, contentment and satisfaction we experience. If we're open to a more optimistic way of looking at things, then surely enough, Higher Mind will help us realise the solution to the supposed 'problem' thereby yielding greater harmony. Cultivating a greater sense of humour is also paramount to Higher Mind creation - laughing in the face of life's difficulties, always looking for the lighter side. Speaking of which, have you read our humour thread?...click here. Creating for the fun of it: We can begin to 'flex' Higher Mind by creating just for the fun of it. So for example taking up the arts, playing a musical instrument, singing, dancing, painting, writing, building or modelling. The key is that there be no effort for an outcome. So for example, if we're learning to play the guitar, it's not about the tune we play, it's just about playing with sound and seeing what comes from it. If we're efforting to learn chords, it's likely this will constrict Higher Mind, not unleash it. It's the same reason that so many people like to write. Have you thought about contributing your creative thoughts to our forum for example? It can help amazingly...Openhand Forum. "In this life, long and hard though it may seem, Live it as you'd live a dream. Aim so high. Just keep the flame of truth burning bright, The missing treasure you must find. Because you, and only you alone Can build a bridge across the stream. Weave your spell in life's rich tapestry - Your passport to a feel supreme." Ah yes! nectar for the soul! So why not give it a try? Open to the so called "problems" in your life; contemplate them without efforting; trust that the weave is being woven; then simply take the natural path that reveals itself. 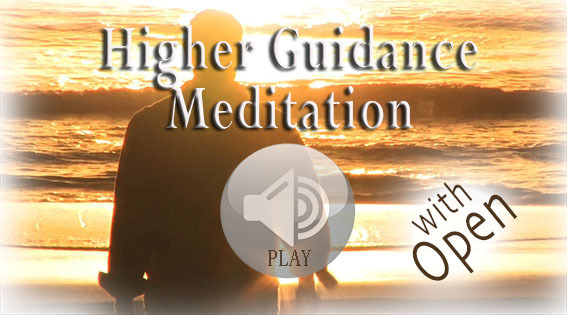 To help you on your way, we recorded this free Higher Guidance Meditation. Enjoy. What have we got to lose? Earlier today it came to me that I'd never drawn a picture without an attachment to an outcome before. I'd drawn, but only for the approval of others. So I went to drawing and it felt wonderful!! It created itself and I flowed along with it. Upon finishing I read this article, including "Creating for the Fun of it" and just laughed and laughed. My deepest thanks. I have completely changed my eating habits, have been integrating being the observer and I now have a pull towards SoulMotion meditation. Being an older article is this the reason I cannot find on your site the book "Gateways of Light"?? This is an awesome article, I'm definitely going to write these steps down in how to re-activate higher mind. Well we do speak about "contemplating abstractions". It's certainly abstract if there's nothing at the link! PS - the links are fixed now! Thanks for your sharing, this line feels powerful "I am practising letting go, just resting and trusting that the next step will be there, when it is time for me to take it." It reminds me that sometimes not being in the flow, is the flow! How wonderful to be able to maintain the trust that the next step will be there when the time is right.